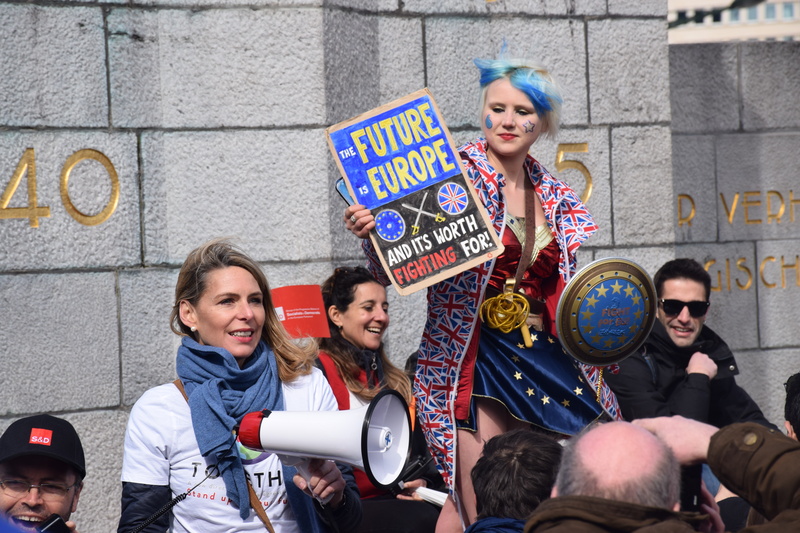 The march started from Place Poelaert in front of the Justice Palace and ended at Place Luxembourg, where members of civil society, artists, students and activists made speeches about the future of Europe in front of the EU Parliament building. They all called on pro-EU political leaders to stick together against right-wing populism. 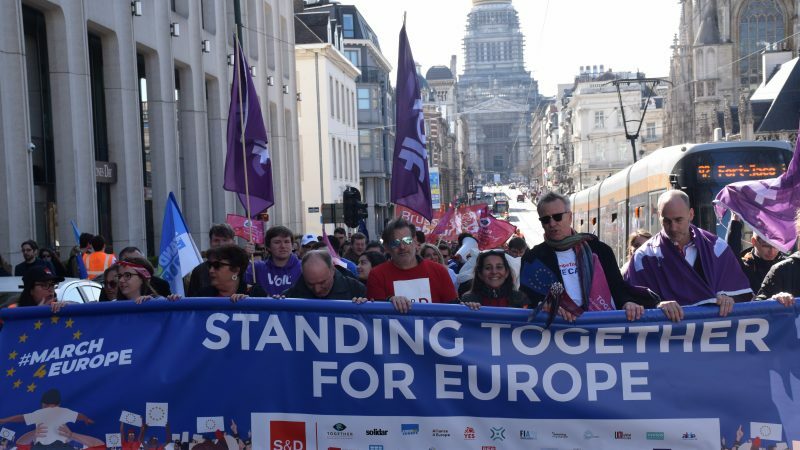 The rally was part of “The European week for democracy” organised by the social democrats in the European Parliament (S&D). Several NGOs and other political movements, such as Volt Europa and the European federalists, also took part. We can't let populism get in the way of our education and our future. We need to support Europe so that Europe can support us. Samir El Khanza hails from the Students’ Association of the Institute for European Studies (SAIES) in Brussels. He said pro-EU citizens must stick together to face the ongoing ‘Orbanisation’ of European societies, a reference to Hungary’s Prime Minister Viktor Orbán and his authoritarian rule. “Europe is not just an economic union. We have to tackle the growing fear of the EU and racism the way we tackled the war problems,” El Khanza said. Maxime Cayrou, also from SAIES, said the idea of Europe was clearly in danger. “The increasing problems in Europe cannot be answered on a national level. Populism cannot be tackled all alone,” he added. For Loes Rutten, a member of the European Youth Forum, which represents more than 100 youth organisations across Europe, there is no nationalist solution to transnational problems. She said young people should be more present in the decision-making process because the main social problems, such as high unemployment, disproportionately affect them. She also pointed out that a key factor in this respect is to make changes in the education structure. “If we don’t learn what it means to be an EU citizen, how the EU system works, how to take in tons of information, especially online, one cannot expect EU citizens to be fully informed and they will, therefore, be vulnerable to fake news,” Rutten said. 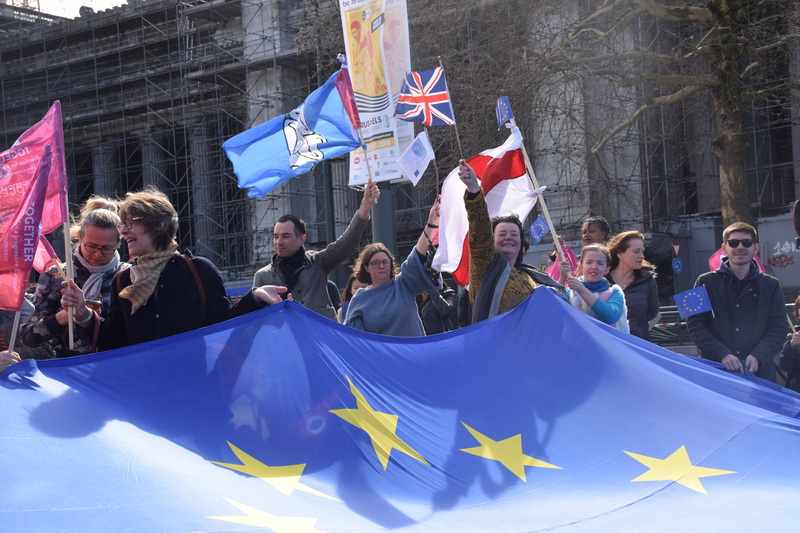 Many British citizens living in Belgium also took part in the rally. 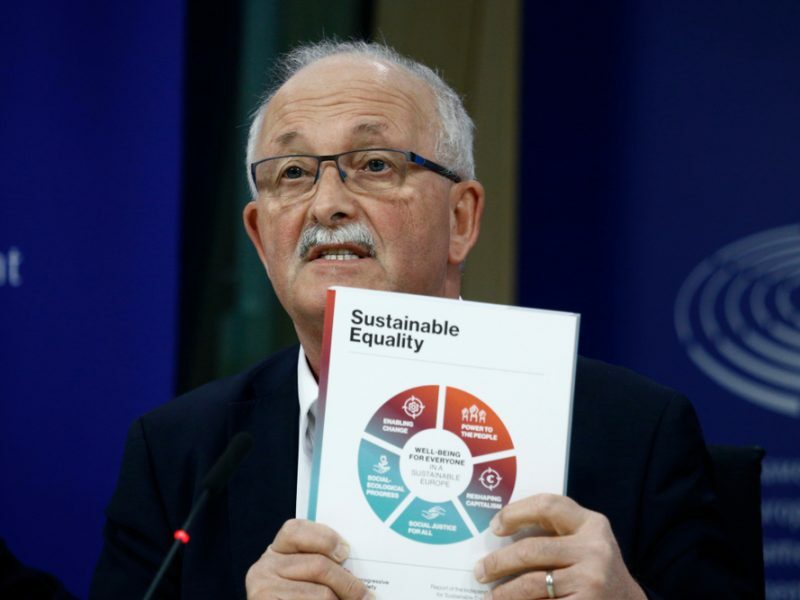 On Saturday (23 March), the chief of Socialists and Democrats (S&D), Udo Bullmann, participated in a massive pro-EU demonstration in central London that called for another EU referendum in the UK, which is due to leave the bloc in the next few weeks. In a tweet, Bullman said hundreds of thousands sent a clear signal to Prime Minister Theresa May and her government: the only way to resolve the Brexit crisis is to give UK citizens the final say. 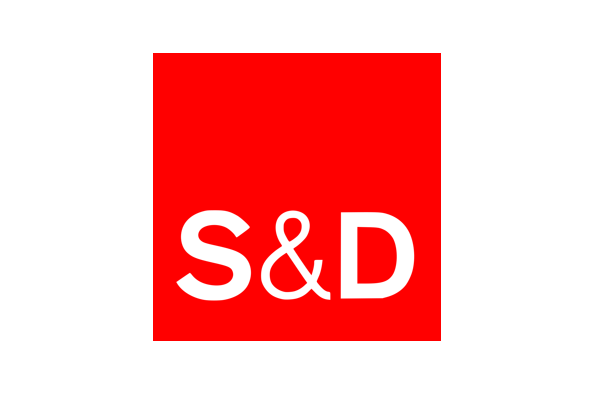 The German social democrat said last week that Brexit was the “first test” of Steve Bannon, a former ultra-conservative adviser to US President Donald Trump who is now active in Europe, and the far-right in general.